Denver City Council is poised to designate two structures in the city as historic landmarks. Bills that go before the legislative body Monday evening would apply the designation to the two-story home at 637 Galapago St. in Lincoln Park, where the founders of the Samsonite luggage brand once lived, and 5001 Packing House Road in Elyria Swansea, an office building that harkens back to the days when the city was a slaughterhouse powerhouse. 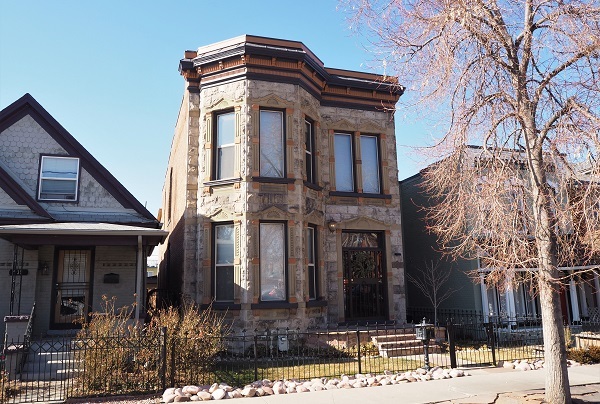 Denver’s local landmark designation program recognizes properties that are determined to have at least two of the following: historical, architectural and/or geographical importance. The designation can make the property eligible for financial incentives, such as grants and state or federal tax credits, according to the city’s website. The two-story house is believed to have been built in 1890, and originally served as a rectory for the Catholic church across the street, according to the application. The home was purchased in 1900 by members of the Shwayder family, who resided there until 1921. During that time, Jesse Shwayder helped transition his father Isaac’s luggage shop into the Shwayder Trunk Manufacturing Co. The company later changed its name to Samsonite after its best-selling suitcase, which was named after the Biblical strongman Samson. “Their story relates to Denver’s entrepreneurial activity at the turn of the 20th century, specifically the upward mobility of the Shwayders from eastern European Jewish immigrants to leaders of a locally prominent manufacturing plant,” city planner Jenny Buddenborg wrote in a report to a council committee. The Shwayder family sold Samsonsite in 1973, and the company has gone through multiple ownership changes since. The company closed its Denver manufacturing facility, which once employed about 4,000 people, in 2001, and moved its main office out of Denver more than a decade ago. The home on Galapago Street is representative of the Italianate style of architecture, with a flat-roof cornice and tall narrow windows. The landmark designation was requested by the property’s current owners, Eric Kratzer and Meghan Hinman. They paid $670,000 for the home in March 2016, according to property records. Meatpacking firm Armour & Co. built this two-story office building at 5001 Packing House Road in 1917. The two-story office building was constructed in 1917, and is owned by the city, as it’s part of the National Western Center campus. The National Western Center requested the designation. 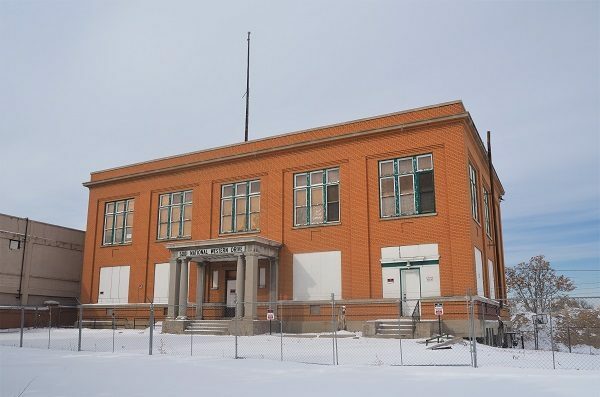 According to materials prepared by city staff, the structure is one of few buildings that date back to when the surrounding area was a hub for meat-processing facilities. It was used by Armour & Co. until 1967, when the company moved elsewhere and leased it to other organizations. “Armour and the other major meatpackers boosted Denver up to the level of other meatpacking centers such as Omaha, Kansas City, St. Joseph, and Sioux City, and created the nation’s largest sheep market and the primary hog processing and distributing facility west of the Mississippi,” city planner Kara Hahn wrote in a report to a council committee. “Meatpackers controlled the stockyards, ranches, cattle, and transportation of meat products in Denver and similar markets for decades and wielded enormous influence on Denver and Colorado’s economic vitality in this area of the city,” she wrote.